After Macros have been created in Dragon, for use in eMedRec, the User may need to copy them to another workstation or system. 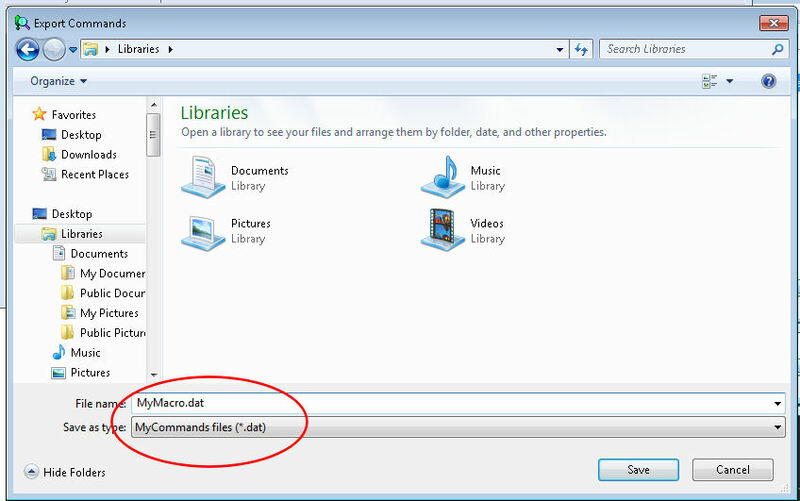 To achieve this, the Macro needs to be Exported and Saved to a file using the Command Browser. The file then needs to be Imported onto the new system. In eMedRec select DragonNatSpeak - Command Browser. This User has a Macro, created in eMedRec, named emedpenorm. To Export the Macro, select the item and go to MyCommands - Export. A window will open where the User will be able to name the Export file. Save the Macro Export to the desired location - which might include a network drive or flash drive. To Import the Macro onto another system, go to Command Browser - MyCommands and Import.